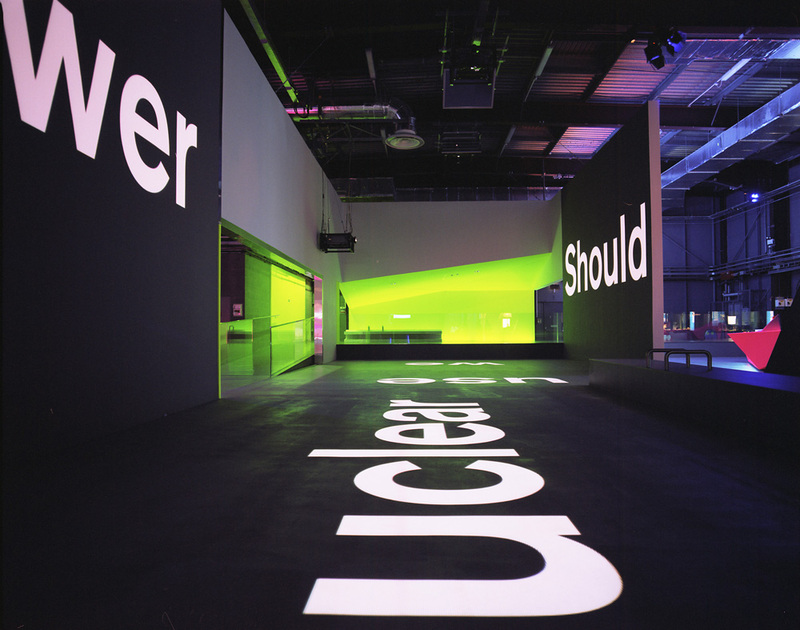 Graphic identity and projected typographic installations were some of the features created by Nick Bell Design for British Nuclear Fuels' visitors' centre at Sellafield, Cumbria, curated by the Science Museum. 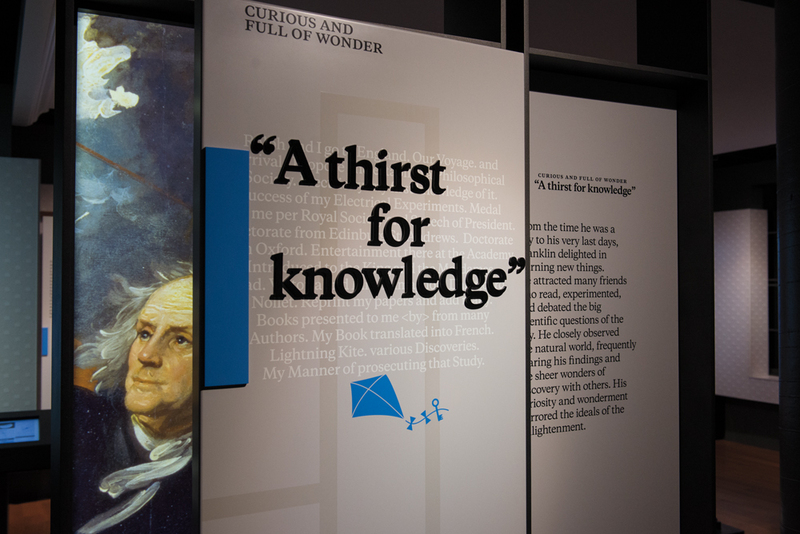 Nick Bell Design undertook graphic identity and interpretation design for a new biographical museum of Benjamin Franklin, one of the most significant figures in American history. Period references (port bottle label typography, maritime map illustration) given a modern graphic re-drafting, ensuring that the graphic interpretation has a visual identity very much all its own that is born exclusively from its content. Another successful project was the graphic identity and interpretation design for 'The Heart' at the Wellcome Collection, that traced the cultural significance of the heart throughout history in art, history, medicine, religion and romance. 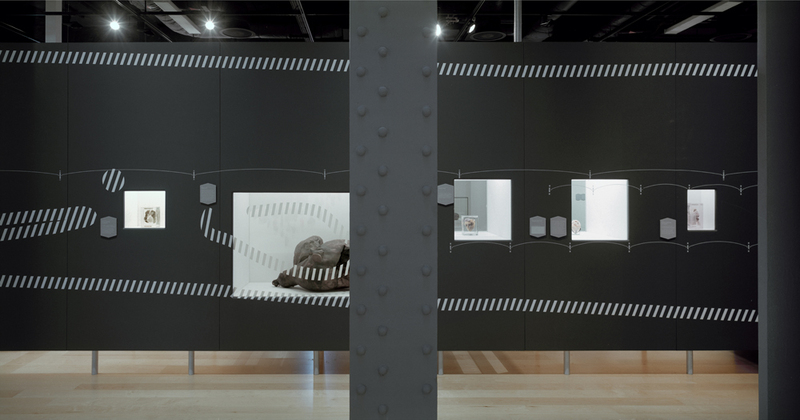 The brief asked the designers to create an art exhibition out of a medical subject to attract audiences from across the art/science divide. 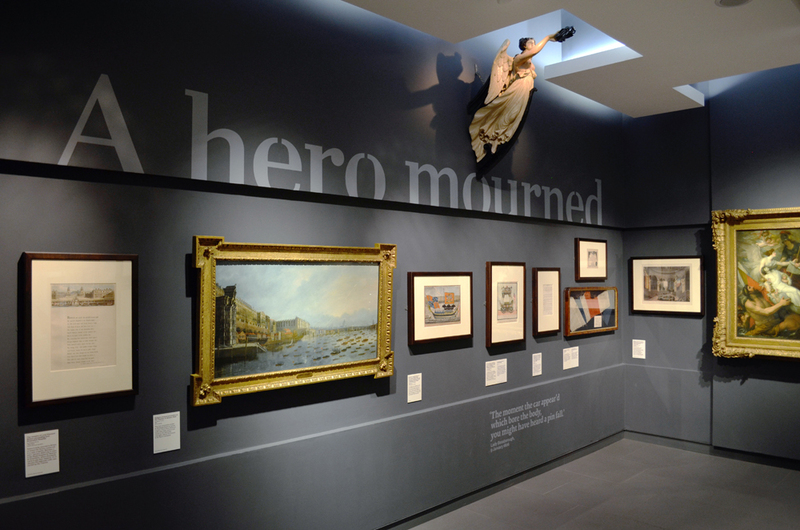 Graphic interpretation design for an exhibition that successfully dealt with high visitor numbers. 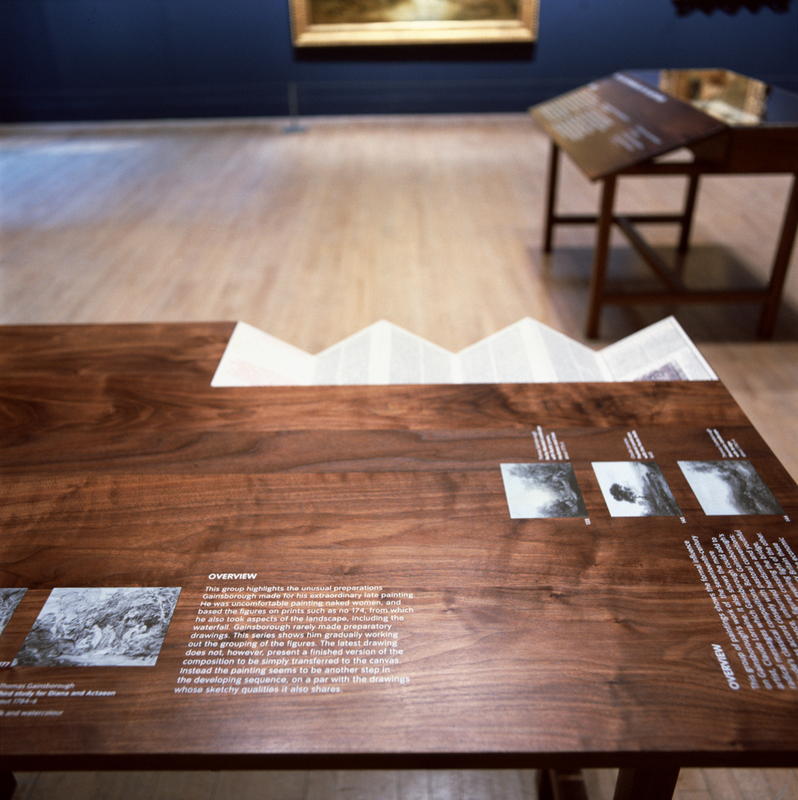 All interpretation texts, normally on the wall, were screenprinted onto custom made furniture positioned centrally in each gallery, meaning that visitors were less likely to obsure the paintings. 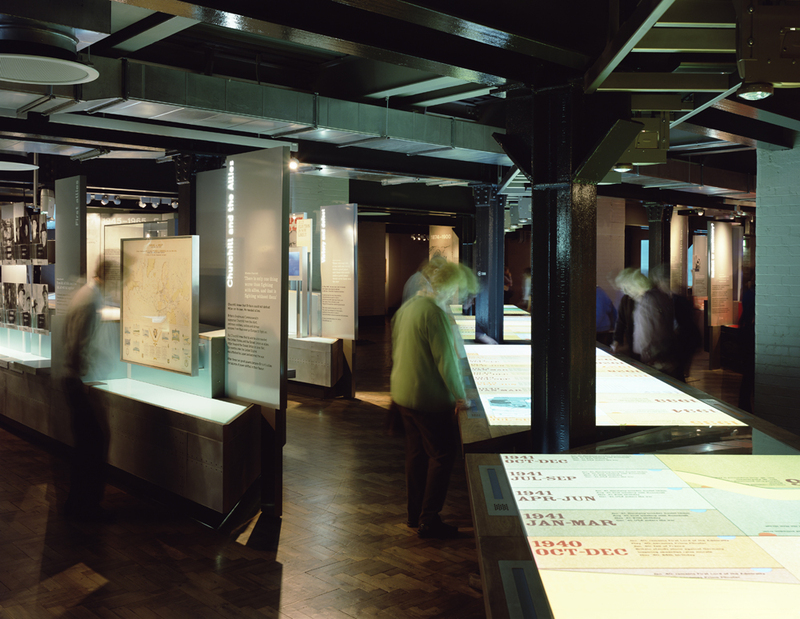 The digital interface design of the Churchill Lifeline, an interactive timeline that is the centrepiece of the Churchill Museum, was completed by Nick Bell Design. It is a 17 metre long diary of events spanning Winston Churchill's entire life. 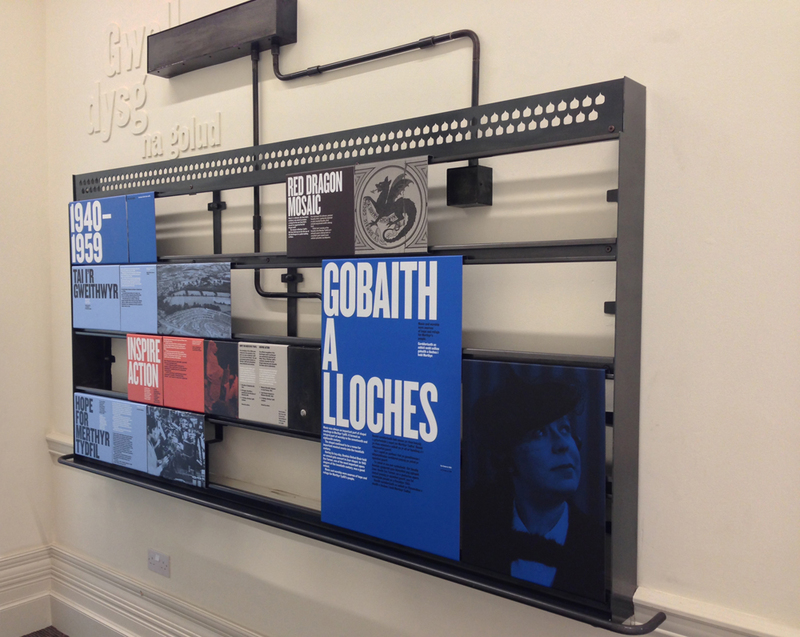 Nick Bell Design undertook content development, 3D design and graphic interpretation design of an editable and updatable display system for Redhouse, a new arts centre born out of Merthyr Tydfil's former town hall. 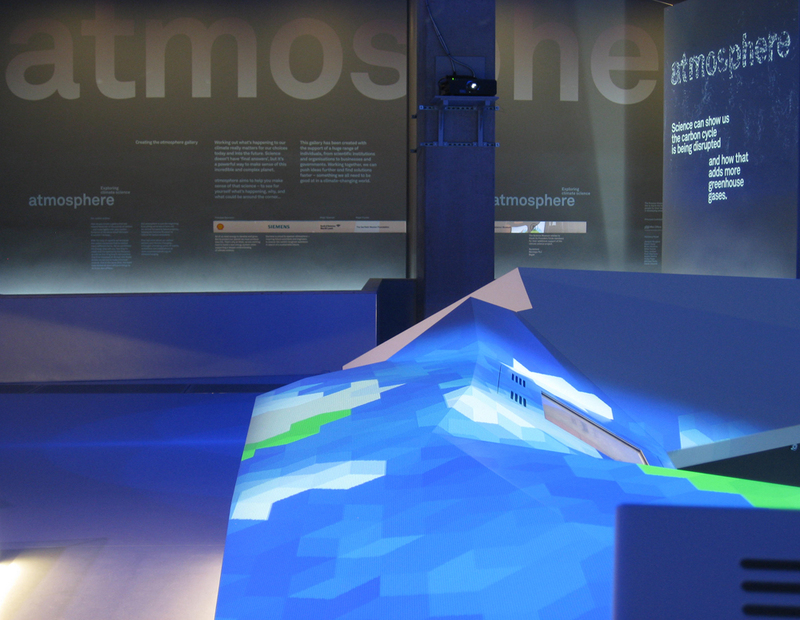 Graphic identity, film and visual projection design were provided by Nick Bell Design for the Atmosphere Gallery at the Science Museum. Colourful, animated graphic projections covering floor and ceiling dynamically register the greenhouse gas emitting game-play of visitors. Mindful of every visitor’s own personal connections to a place and their experiences of it, Nick Bell Design make it easier and more appealing for people to strengthen those bonds.